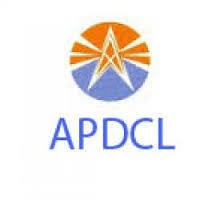 APDCL Jobs Recruitment Notification 2018.Assam Power Distribution Company Limited (APDCL) inviting applications for the positions of technical assistants (electrical) jobs for SAUBHAGYA project work under Rural Electrification (RE).Interested and Eligible candidates can apply for the positions. BE/ B.Tech holders in electrical engineering with 50% marks can apply for technical assistant posts. Applicants those who are applying should not have age more than 30 years as on 01st March 2018. On 11th, 12th August 2018 candidates can attend the interview along with all required details at below given venue for APDCL Recruitment. Conference Hall, Ground Floor, APDCL, Bijulee Bhawan, Paltanbazar, Guwahati-01.